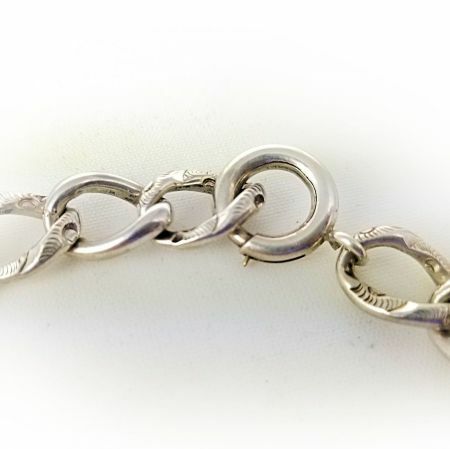 Description: A fabulous sterling silver patterned curb link chain bracelet made by HF Barrows & Company in North Attleboro MA. 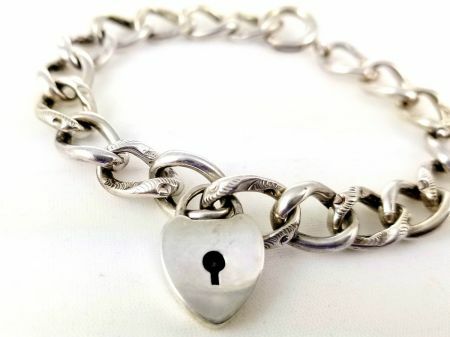 It has a sterling heart shaped working padlock charm that would open with a key. 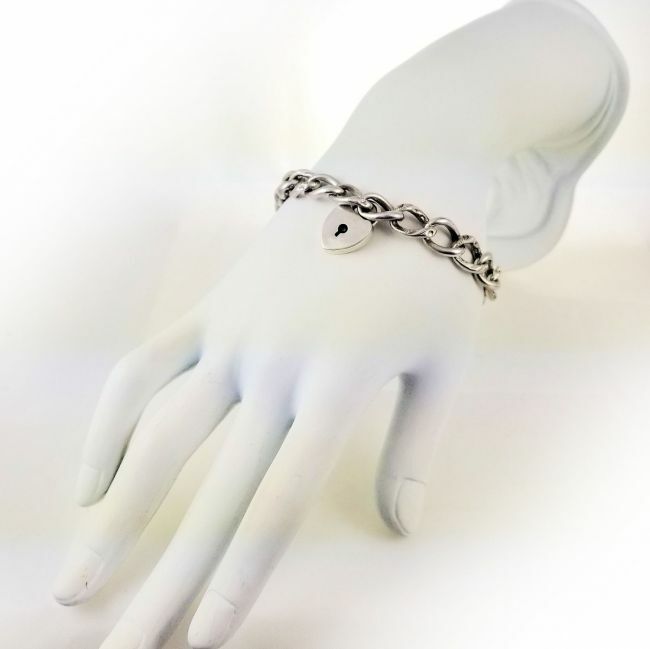 This bracelet is secured with a large spring ring clasp instead of the padlock though. 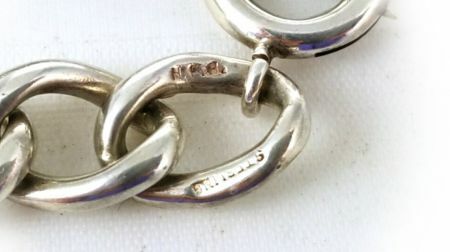 The chain which alternates with plain and etched links measures just under 8 inches from end to end. Marked H.F.B Sterling on the end curb link and again Sterling H.F.B & Co on the back of the padlock. The marks both show this 3/4" by 1/2" padlock is original to the bracelet. Circa early 1900's. Weighs 19.6 grams. Measurements: Measures 8" in length by 3/8" wide links. Shipping time: Within 1 to 3 days.